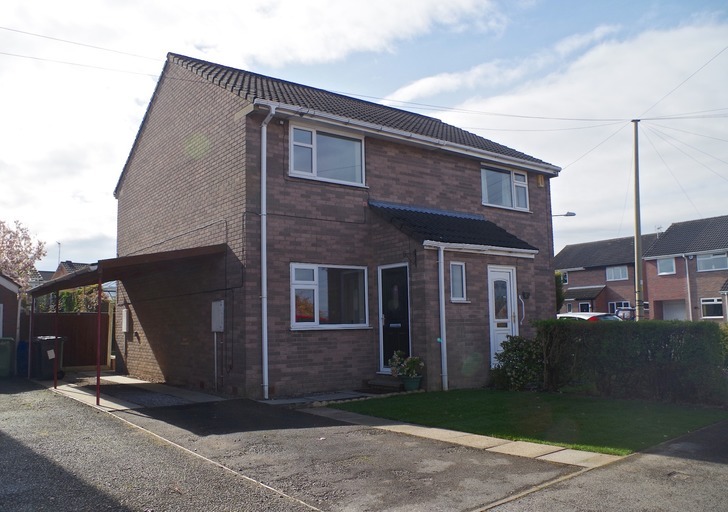 CLICK HERE for more detais..
RF&O are delighted to market for rent this well presented, two bedroomed, semi-detached property situated in the village of Pilsley. The property briefly comprises of an entrance hallway with stairs rising to the first floor. On the ground floor is the spacious lounge/diner and breakfast kitchen. On the first floor there are two well-proportioned bedrooms and a modern shower room with a 2 piece white suite and large walk-in shower. Outside the property benefits from having off road parking and carport and to the rear of the property is an enclosed garden and patio that enjoys a degree of privacy. With carpeted flooring leading into the living/diner and stairs leading to the first floor. With carpeted flooring, UPVC double glazed front aspect window and neutral décor. This room is spacious and has a modern feel. The living/ diner benefits from a central heating radiator and central ceiling light. With partial tiling, complimentary wood effect roll edge counter and cream wall and base units. A breakfast bar, under counter space for washing machine and resin sink an drainer with mixer tap. A UPVC double glazed rear aspect window and UPVC double glazed obscured back door leads to the rear garden. The shower room benefits from partial tiling with 2 piece white suite comprising of a W.C, pedestal hand wash basin and has the added benefit of a large walk-in shower and glass screen. Obscured UPVC double glazed window, contemporary tile effect flooring and central heating radiator. The double bedroom with carpeted flooring has been freshly decorated. And includes a central heating radiator and UPVC double glazed window to the front elevation. With neutral décor, carpeted flooring and freshly decorated, with a UPVC double glazed window allowing plenty of natural light and a central heating radiator. The rear garden enjoys a degree of privacy being enclosed with a lawn area and patio. RF&O are delighted to market this spacious three bedroom semi-detached property located in the village of Marehay. To the ground floor there is a contemporary kitchen with character features, dining room, lounge and large under stairs storage space. To the first floor there is the family bathroom, a well-proportioned bedroom and a second bedroom currently being used as an office space. To the second floor there is a large master bedroom with en suite. With vinyl flooring, matching wood effect wall and base units and complimentary work surfaces. A one and a half porcelain sink and drainer with brass tap, electric oven and integrated gas five ring hob and a rear aspect UPVC double glazed window looking out over the rear garden. A small breakfast bar, central heating radiator and obscured door to the side elevation leads out onto the rear garden. The dining room has carpeted flooring, a large rear aspect UPVC double glazed window with views onto the rear garden. A door which leads off of the dining room to spacious under stairs storage. With a large marble feature fire place and central heating radiator. With elegant archways leading into the lounge. The lounge has a large front aspect UPVC window and a door leading out onto the front of the property. With neutral décor, carpeted flooring and central heating radiator. A contemporary archway leading to the carpeted stairs to the first floor. The second bedroom ha carpeted flooring, front aspect UPVC double glazed window allowing in natural light. A built in wardrobe, central heating radiator and neutral décor. This third bedroom is an ideal space for an office, child’s bedroom or a study. With a rear aspect UPVC double glazed window looking out over the rear garden, carpeted flooring and a central heating radiator. With vinyl flooring, partial tiling, a contemporary bath with attached shower head and a stand-alone shower with electric shower head. A large wall unit with built in sink, mirror and storage cupboards. A central heating radiator and a large built in storage cupboard. Located on the top floor the master bedroom is spacious and bright. There are two rear aspect UPVC double glazed windows that look out over the rear garden, carpeted flooring and neutral décor. With a central heating radiator and spotlights on the ceiling. With partial tiling, a stand-alone electric shower cubical, vinyl flooring and a 2 piece suit comprising of a W.C and hand was basin. The rear garden to this property enjoys a good degree of privacy, being fully enclosed with a patio are and an area laid to lawn. The garden is low maintenance and has an outdoor tap and side gate access. With a garden shed which is ideal for storage and blossom tree located at the bottom of the garden. 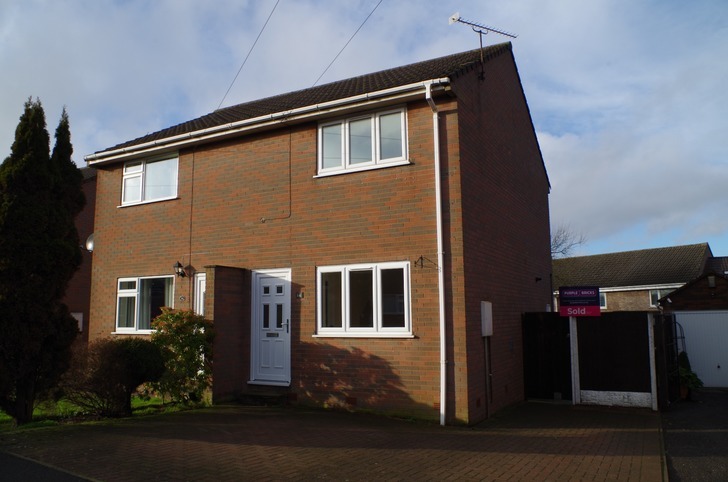 RF&O are delighted to offer for rent this well presented two bedroom semi-detached property located in the sought after village of Swanwick. The property is a short walk away from Secondary/Primary School and also within walking distance of local amenities such as the post office, butchers and hairdressers. The property offers an exciting opportunity for a first time renter or a small family. Viewing this property is highly recommended. Access through an external door to the front elevation, the porch offers a space to store coats and shoes away from the main living areas. The living room has a UPVC double glazed window to the front elevation allowing in lots of natural light. With carpeted flooring, central heating radiator, neutral décor and feature central light fitting. With a rear aspect UPVC double glazed window looking out over the back garden, tiled flooring, stainless steel sink and drainer, stainless steel electric oven and gas hob. The kitchen has complimentary matching wall and base units, including an integrated wine rack. With partial tiling and undercounter space for a washing machine. The master bedroom has carpeted flooring, central heating radiator and neutral décor with feature wall paper. A front aspect UPVC double glazed window allowing natural light and a feature central light fitting. The second bedroom has shelving units attached to the wall, carpeted flooring, rear aspect UPVC double glazed window and central heating radiator. With vinyl flooring, bath with overhead electric shower, 2 piece suite comprising of W.C and sink, complimentary partial tiling and a side elevation obscured UPVC double glazed window. Being fully enclosed the rear garden has a lawn area, patio area with outside tap and large storage shed. 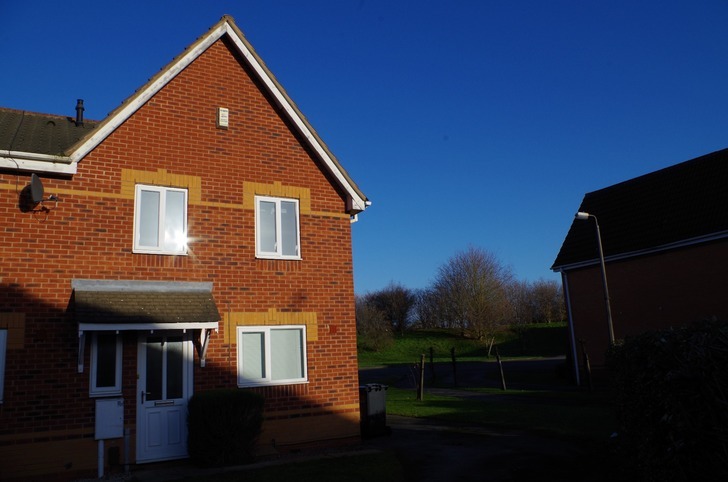 RF&O are delighted to offer for rent this well presented two bedroomed property situated in the popular location of Swanwick with convenient access to local amenities and public link roads including the A38 and M1. Within walking distance of locals schools, parks and amenities. The property briefly comprises of; entrance hall, kitchen and lounge to the ground floor. On the first floor are two bedrooms and a bathroom. 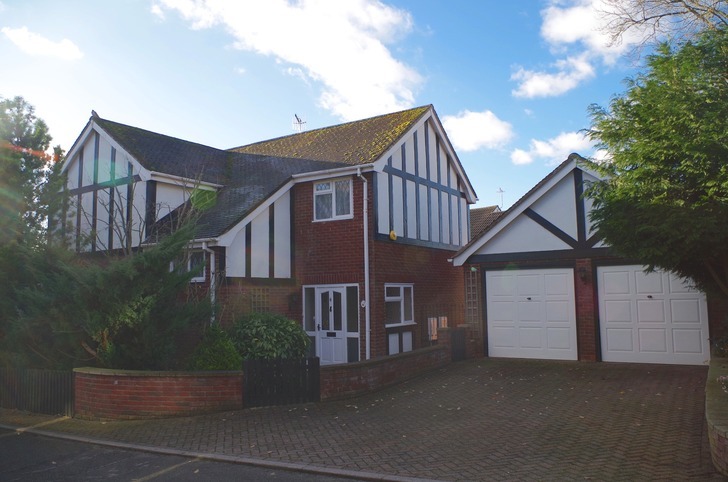 The property benefits from an allocated driveway and rear enclosed garden. Entrance Hall - Having laminate flooring and coving. Kitchen 7' 11" x 8' 3"
with double glazed front aspect window, offering a range of; wall and base units, a sink and drainer, integrated gas hob, integrated oven and plumbing for a washing machine along with tiled splash backs. Lounge 11' 11" x 15' 8"
With two storage heaters, UPVC double glazed patio door s leading out into the garden and UPVC double glazed windows to the rear. Master Bedroom 12' 10" x 10' 2"
With fitted wardrobes, storage heater, and a UPVC double glazed window to the rear elevation. Bedroom 11' 9" x 5' 9"
with a storage heater, carpeted flooring and a UPVC double glazed window to the front elevation. with double glazed obscured window, three piece white bathroom suite comprising of a bath with shower attachment, WC, hand wash basin and partially tiled walls. To the front is a laid to lawn garden with an allocated driveway located to the side of the adjoining property. To the rear is an enclosed garden with a paved patio area with the rest of the garden laid to lawn. Entrance Hall, Lounge and two double Bedrooms all immaculately presented. 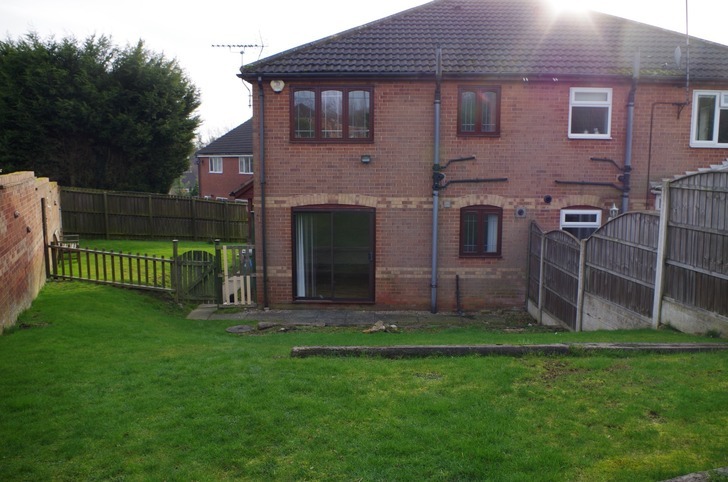 Generous fully enclosed rear garden and driveway. Lounge 13'9" x 13'1" (4.2m x 3.99m). Kitchen/Diner 13'9" x 9' (4.2m x 2.74m). Refitted with a matching range of gloss cream base and wall units with co-ordinating acrylic worktops, stainless steel sink with mixer tap with tiled splashbacks, integrated fridge, freezer, washer dryer, built-in electric oven, five-ring gas hob with extractor hood over, uPVC double glazed window to rear, tiled floor, designer vertical radiator, Aluminium double glazed French doors to garden. First Floor Staircase to first floor Landing with uPVC double glazed window to side and ceiling spotlighting to stairwell. Bedroom 1 13'9" x 9'6" (4.2m x 2.9m). Bedroom 2 8'9" x 7'2" (2.67m x 2.18m). Recently refitted with designer three piece suite comprising panelled bath, with electric shower, pedestal wash hand basin and low-level WC, full height ceramic tiling to all walls, designer vertical radiator, uPVC double glazed window to rear, tiled floor, ceiling spotlights. Lawned front garden with specimen ornamental tree. Driveway to the side provides ample off road parking and access via double wrought-iron gates to the fully enclosed rear garden. To the rear of the property is a paved patio leading onto a generous lawned garden again with ornamental trees and a timber garden shed. 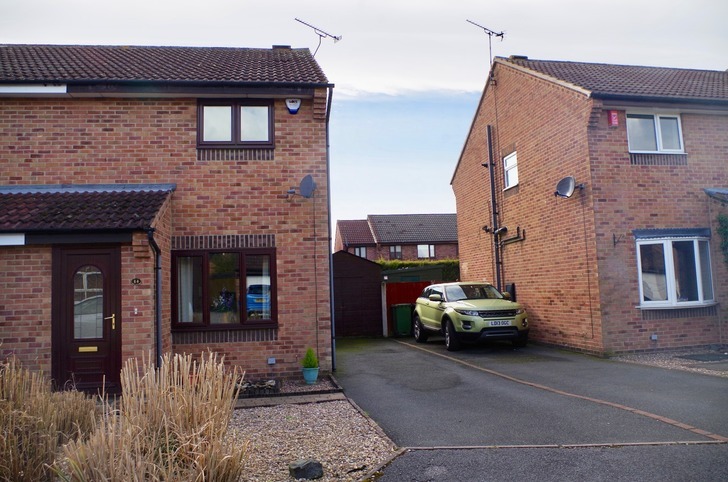 RF&O are delighted to market for rent this well presented detached three bedroom house located in the sought after village of South Normanton, with easy access to local amenities and parking suitable for multiple vehicles, this property is an ideal family home. To the ground floor there is a downstairs W.C, spacious kitchen, under stair storage cupboard and living room with patio doors leading out onto the large rear garden. On the first floor there are three well-proportioned bedrooms, family bathroom and also a loft hatch which has a pull down ladder to allow easy access. The property is entered by the front door leading into the entrance hallway. This leads to the downstairs W.C, kitchen, lounge and under stairs storage cupboard. With neutral carpeted flooring and double doors leading out onto the rear garden, the lounge is bright and spacious. The focal point to this room is the large feature fireplace. With a double glazed UPVC window, central heating radiator and centre ceiling light fitting. The kitchen benefits from tiled flooring, a front aspect UPVC double glazed window, matching wooden wall and base units, a good degree of work surface space, complimentary tiling, stainless steel sink and drainer, central heating radiator and a door leading to the rear garden. The downstairs W.C comprises a W.C, sink with splashback tiling and vinyl flooring. With carpeted flooring, central heating radiator, built in wardrobes and overhead storage space. The master bedroom has views out over the rear garden via the rear aspect UPVC double glazed window allowing in natural light. Bedroom two is neutrally decorated with carpeted flooring, central heating radiator and a front aspect UPVC double glazed window. Bedroom three has centre ceiling light fitting, UPVC double glazed window and carpeted flooring. With vinyl flooring, tiled walls, bath with electric shower over. A three piece white suite comprising of W.C, sink and bath. With a central heating radiator, emersion heater and obscured front aspect UPVC double glazed window. This sizeable rear garden benefits from a good degree of privacy. The spacious drive way leading to a double garage and is fully enclosed. The rear garden is low maintenance with a lawed area, feature pathway, established shrubs and stoned grounds. The back of the property has an outside sensor light, outside tap and side gate exit/entrance. 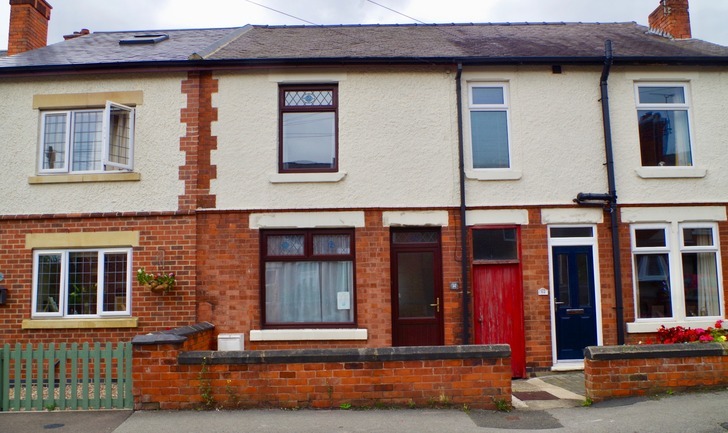 RF&O would like to offer for rent this one bedroom semi-detached property located in the sough after village of South Normanton on the Broadmeadows estate. This property has been newly carpeted, has ample off road parking and enjoys a great degree of privacy. With vinyl wood effect flooring, patio doors facing out onto the back garden, central heating radiator and neutral décor the living room enjoys a good degree of natural light. The kitchen has modern, matching wall and base units. Under counter space for a fridge, washing machine, rear aspect UPVC double glazed windows and an under stairs storage cupboard. With a stainless steel sink and drainer, roof spot lights and wood effect laminate flooring. With a new carpet, rear aspect UPVC double glazed window and central heating radiator and views over the rear garden. The bathroom benefits from partial tiling, a rear aspect obscured UPVC double glazed window. A three piece white suite including, sink, W.C. and bath, with electric overhead shower with glass shower screen. The rear garden is fully enclosed, low maintenance and enjoys a good degree of privacy. Mostly laid to lawn, patio area and outside shed. 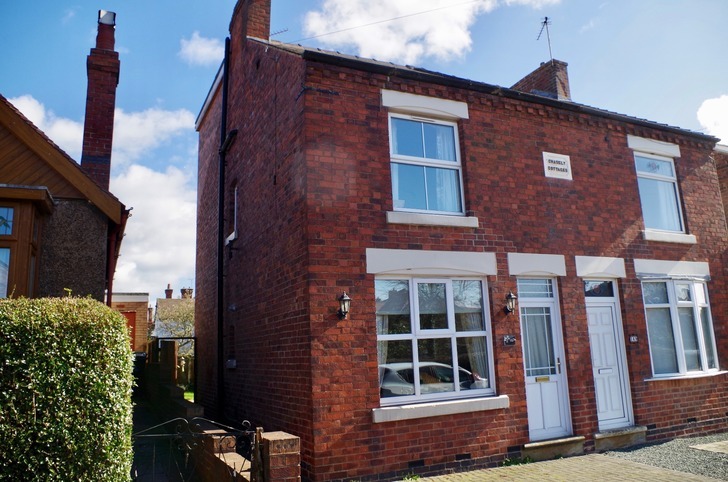 RF&O are delighted to market for rent this well presented three bedroom semi-detached property with spacious off road parking suitable for multiple vehicles. Located in the highly sought after location of Chester Green the property boasts easy access to the city centre and local amenities. To the ground floor there is a modern kitchen accessed by the entrance hallway which also leads to, a spacious living/dining room and a downstairs toilet. On the first floor there are three well-proportioned bedrooms, and a family bathroom. With a front aspect UPVC double glazed window, contemporary wood effect wall and base units and complimentary partial tiling. This well presented kitchen has a built in fridge freezer, stainless steel sink and drainer with mixer tap and vinyl tile effect flooring. The downstairs toilet is accessed by the entrance hallway and has modern tiled flooring, a low level W/C and a pedestal sink with splash back tiling. The living room benefits from neutral décor, contemporary wood effect laminate flooring and patio doors leading out onto the rear garden. A central heating radiator, rear aspect UPVC double glazed window to the rear elevation and feature ceiling light fittings. The property also benefits from an under Stairs Storage Space. Of generous proportion this room benefits from a built in wardrobe with sliding doors, a dimmer switch to control the lighting, two rear aspect double glazed UPVC windows allowing in plenty of natural light. Finished with contemporary wood effect laminate flooring and neutral décor. With a front aspect double glazed UPVC window, contemporary laminate flooring, dimmer switch and neutral décor. Front aspect UPVC double glazed window, Wood effect laminate flooring and storage cupboard that houses the boiler. The bathroom has a modern three piece white suite which comprises of a toilet, sink with a mixer tap and a bath and shower taps. With tiled flooring and partial tiling to the walls and a rear aspect obscured UPVC double glazed window. The rear garden is well maintained and has a good degree of privacy. With a lawn area, patio area and a side access gate leading onto the driveway. On the first floor there are two well-proportioned bedrooms and a modern bathroom with a 3 piece white suite. Outside the property benefits from having off road parking and to the rear of the property is an enclosed garden that enjoys a degree of privacy. With laminate flooring leading into the living/diner and stairs leading to the first floor. With wood effect laminate flooring, UPVC double glazed front aspect window, neutral décor and under stairs storage. This room is spacious and has a modern feel. The living/ diner benefits from a central heating radiator and spotlights to the ceiling. With partial tiling, a freestanding cooker with gas hob, complimentary wood effect wall and base units, tile effect vinyl flooring. A breakfast bar, under counter space for washing machine and tumble dryer and stainless steel sink an drainer with mixer tap. A UPVC double glazed rear aspect window and UPVC double glazed obscured back door leading to the rear garden. The bathroom benefits from partial tiling with 3 piece white suite comprising of a low flush W.C, pedestal hand wash basin and panelled bath with electric shower and glass screen. Obscured UPVC double glazed window, contemporary tiled flooring and ladder style central heating radiator. The rear garden enjoys a degree of privacy being enclosed with a lawn area, patio area and a garden shed. 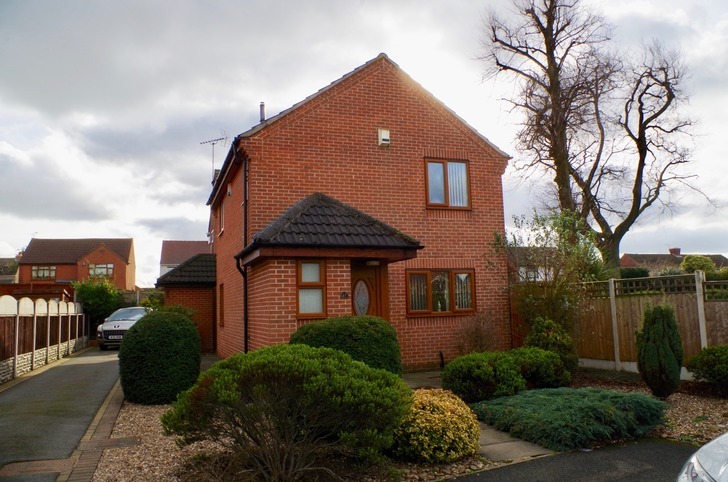 RF&O are delighted to offer for rent this well presented detached three bedroom property, located in the popular village of Stanley which benefits from excellent road links to both Derby and Nottingham. 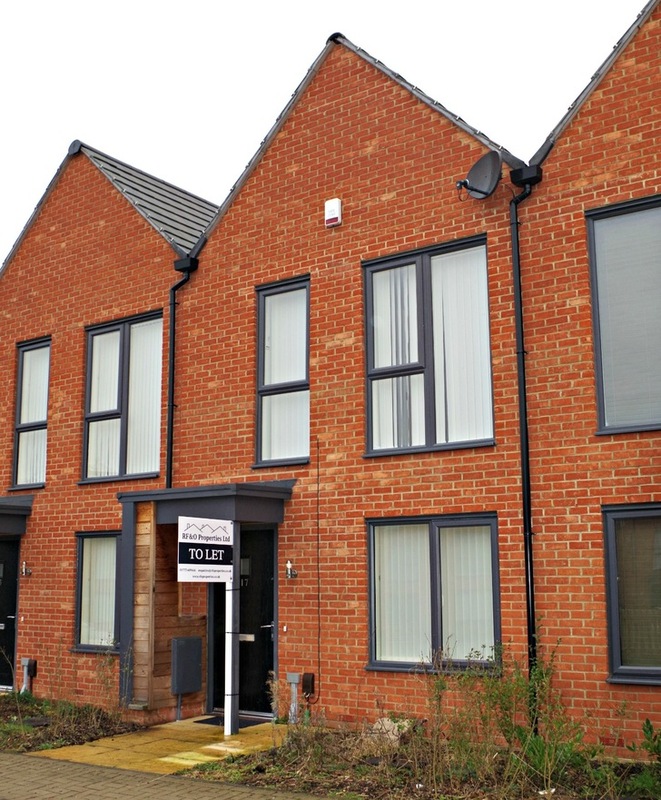 The property is situated near to local shops, bus stops and local primary and secondary schools. The property comprises of three well proportioned bedrooms, with the master bedroom having the advantage of an en-suite shower room, large family bathroom, a good sized landing offering plenty of natural light, a large L shaped lounge/dining room, a small study/playroom, a conservatory, downstairs W.C and modern kitchen with breakfast bar. This generous porch has double glazed leaded windows and entrance door to the front elevation and tiled flooring. Leading to the? The spacious hallway offers access to the staircase, kitchen and lounge. With carpeted flooring, under stairs storage cupboard, dado rail and central heating radiator. Comprising of a white two piece suite with W.C, hand wash basin and complimentary tilled splash backs. Obscured double glazed window and central heating radiator. Fitted with a range of wall and base units with worktop over, 1 1/2 ceramic sink and drainer and ceramic tiled splash backs. The kitchen benefits from integrated appliances including four ring gas hob with extractor over, electric double oven, integral fridge freezer and a concealed wall mounted Baxi combo boiler. There is additional space for a washing machine and dishwasher. Additional benefits also include a fitted breakfast bar, tiled flooring and window to the rear elevation. A double glazed leaded door leads to the garden. This well proportioned family room benefits from a large double glazed bay window to the front elevation and double glazed windows to the rear elevation. Carpet laid to floor. Feature fireplace with marble hearth and gas fire inset, coving to the ceiling, central heating radiators, a door leading to the study/playroom and french style doors providing access to the conservatory. Double glazed window to rear elevation, carpet laid to floor, and central heating radiator. Double glazed windows to the side and rear elevations, slate effect ceramic tiled flooring, ceiling fan and double glazed french doors giving access to the gardens. Offering access to the loft space, carpeted flooring, airing cupboard and doors leading to the three bedrooms and the family bathroom. Fitted with a three piece suite comprising of a shower enclosure, WC, wash hand basin, complimentary tiling, central heating radiator and an obscured double glazed window to rear elevation. With a double glazed window to side elevation, carpet to floor and benefitting from a large walk in wardrobe. Double glazed window to the front elevation, fitted wardrobes, central heating radiator and carpet to floor. Fitted with a three piece suite comprising of a bath, glass shower screen and mixer shower tap, WC, pedestal hand wash basin, partially tiled, central heating radiator, coving to ceiling, spotlighting to ceiling and window to rear elevation. This property stands well within a good-sized secure garden plot. There is a walled garden with gated pedestrian access to the front of the property, gated access to the rear of the property and a well proportioned double block paved driveway. With power and lighting, and two up and over doors to the front elevation. There are well presented gardens surrounding the property offering a good degree of privacy, mostly laid to lawn with boarders displaying mature shrubs, plants and trees. 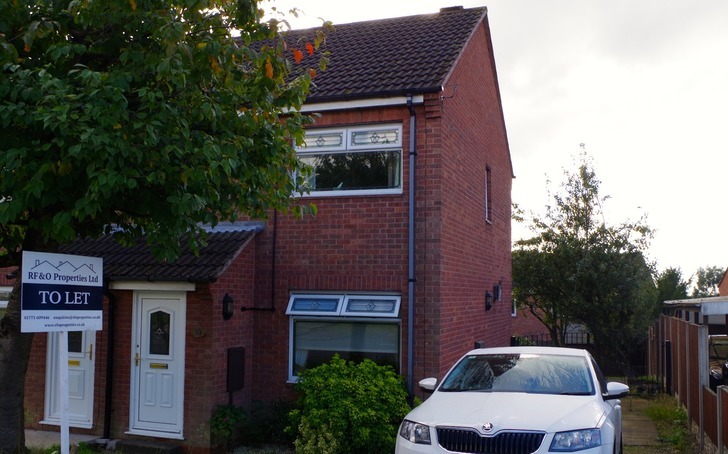 RF&O are delighted to market, this spacious two bedroom semi-detached property in a sought after location in Ripley. The property is situated on the outskirts of Ripley town centre and has good access to local amenities and transport links, such as the A38 and A6 link roads. The property benefits from spacious rooms that are freshly decorated, well maintained and clean. The accommodation briefly comprises; Living room, spacious dining room, modern kitchen, two double bedrooms, family bathroom and a rear garden. The living room is bright and open, it has a front aspect UPVC double glazed window that allows natural light into the room. It has a feature fire surround and carpeted flooring. It has a wall mounted central heating radiator and is neutrally decorated. The dining room is a lovely open space. With carpeted flooring and a rear aspect double glazed UPVC window overlooking the garden. There is a fire surround and leads through to the kitchen and to the stairs rising to the first floor. The kitchen is modern, neutrally decorated, clean and well maintained. There is an electric oven and has an integrated four ring electric hob with an extractor hood. There is under-counter space for a washing machine . It has a stainless steel sink and drainer and a door leading into the rear garden. There is plenty of storage space with both wall and base units with complimentary work surfaces. The family bathroom is fitted with vinyl tile effect flooring. With a three piece white bathroom suite and the bath has an overhead shower with. There is an obscured double glazed UPVC window to the rear. There is also an airing cupboard which provides storage space. The master bedroom is a generous size. It has a built in wardrobe on the side wall. 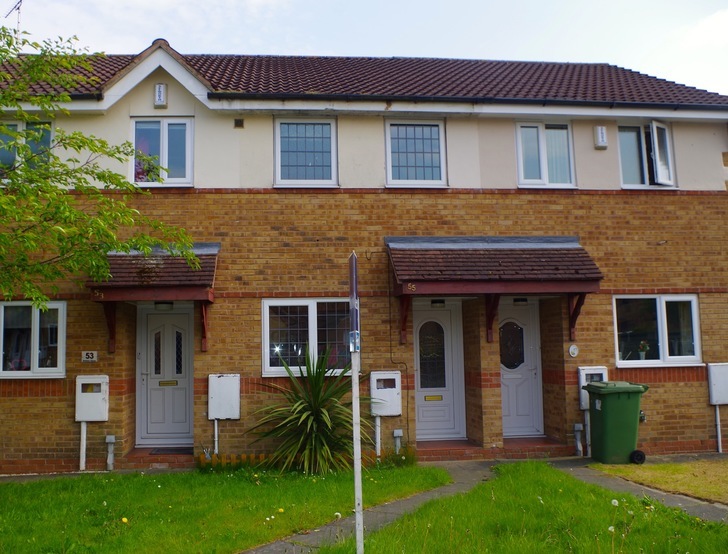 With carpeted flooring and has a double glazed UPVC window to the front elevation. Bedroom two is a neutrally decorated and has carpeted flooring. It has a double glazed UPVC window which looks out onto the rear garden. The rear garden is a lovely open space. With a concreted courtyard area and a grassed area. At the bottom of the garden there is a greenhouse and a barked area. The garden is well maintained and also has a storage shed. 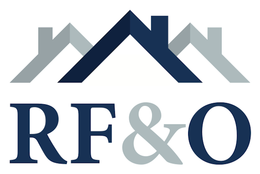 R F & O Properties are delighted to offer for rent this well presented, modern two bedroomed property close to the Royal Derby Hospital and within easy reach of Derby City Centre. The property comprises an entrance hall with stairs off to first floor. Leading off from the hallway is a well proportioned living room with front elevation double glazed windows. between the living room and the kitchen is a generous cloakroom and directly across from this is a downstairs W.C. and washbasin. The fitted kitchen comprises of a range of base and wall units, built in dishwasher, fridge, freezer, electric hob and eye level oven and grill. At one end of the kitchen is a dining area with French doors leading onto the patio and enclosed rear garden. To the first floor there is a master bedroom with en-suite, a second bedroom and family bathroom. To the outside there is a good sized enclosed rear garden with patio, and a further lawned area. To the front there is off road parking for one vehicle. Kitchen/Dining: Appointed with a range of wall and base units, built in fridge, freezer, dishwasher, electric hob with extractor fan over, eye level oven and grill and plumbing for automatic washing machine, inset single drainer stainless steel sink unit with mixer tap. Bedroom 1 & en-suite: With double glazed window, central heating radiator and built in mirrored wardrobes. The en suits contains a white W.C and hand basin and shower cubicle with electric shower. Bedroom 2: With double glazed window and central heating radiator. Built in storage cupboard and mirrored wardrobes. Bathroom: Partially tiled and appointed with a modern three piece suite comprising of a bath, wash hand basin and W.C.
Outside: To the rear of the property there is an enclosed garden with patio area leading to lawn and to the front there is a space providing off road parking for one car.